The best rangefinder for bow hunting is a great accessory for all bow enthusiasts. This device will allow them to view targets at great distances without getting noticed. However, choosing a rangefinder is not that easy. There are some considerations that you have to take before you purchase one. You should also realize that binoculars differ from rangefinders. For bow hunting, you will need an assistive observing device that is lightweight and ergonomic. A binocular possesses such feature. However, they lack the magnification power that is essential to bow hunting. In this article, we will teach a comprehensive rangefinder buying guide. 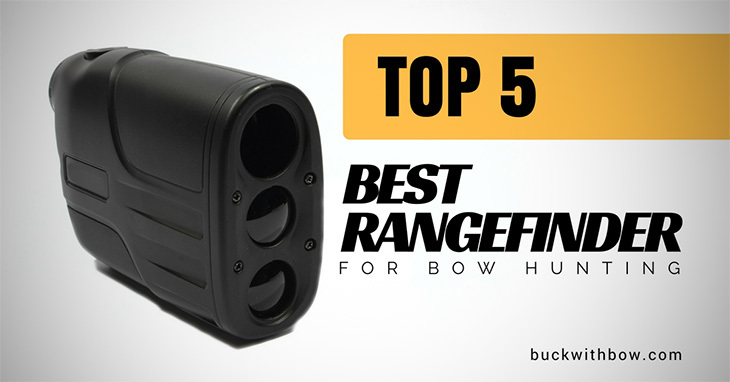 Moreover, we also feature the top 5 rangefinders in the market today! Let us get started! There are two types of rangefinders are available on the market today: the first priority rangefinder and the second priority rangefinders. By this time, you should already ignore priority rangefinders because they are used for golfing. A bow hunter should pick a second priority rangefinder. This kind of rangefinder can read objects at far distances while ignoring those closer objects. 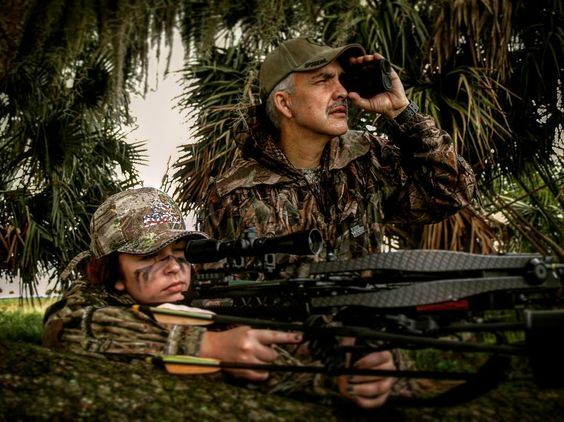 Hunting has a lot of obstructions, which can lessen the accuracy of your shots. 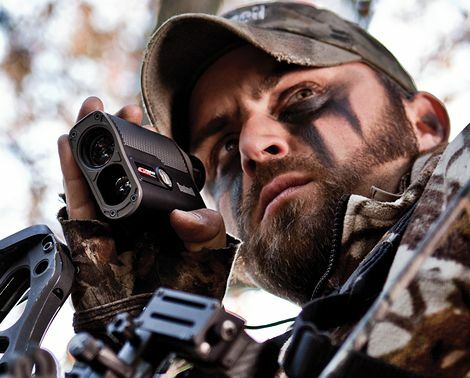 A hunting rangefinder can acquire your targets while ignoring these unwanted elements. Moreover, you can also use a hunting rangefinder to golf as well! One of the most important aspects of a rangefinder is its viewing distance. Specifically, the actual viewing range of rangefinder is crucial, especially on acquiring long distance targets. A good rangefinder can give accurate readings. Moreover, it should tell you the exact distance of the target. Most of the high-end rangefinders today have a viewing range of 5 to 1,600 yards. For a hobbyist, rangefinders that have a viewing distance of 10 to 600 yards is already enough. Bows don't shoot that long, so this spec is indeed adequate. Aside from the range, your rangefinder should have sufficient magnification. Targets at a great distance will appear small on your optics if it doesn't have magnifying abilities. Moreover, it is not sufficient that your rangefinder can enlarge things. The magnified should also be sharp and highly detailed. On the other hand, you should know that magnification does not alter the perspective of the image. Therefore, you should choose a rangefinder that has 4x to 6x magnification power. The lens of a rangefinder is also an important component that you should scrutinize. You should take into account that large lens allows more light transmittal than the smaller ones. 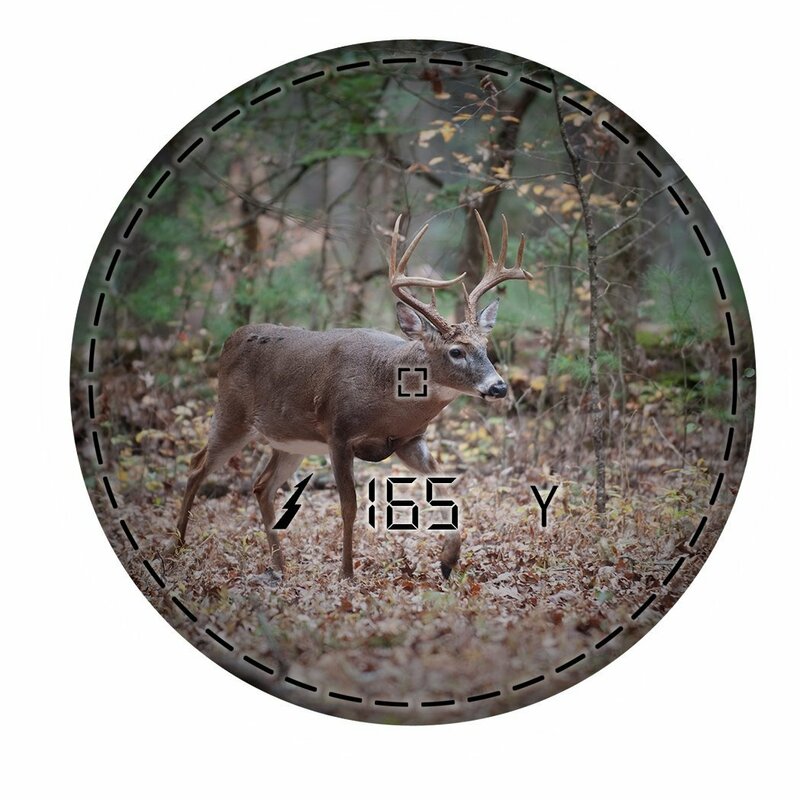 This feature is necessary, especially if you are casually hunting in low-light conditions. You need a rangefinder that has an ample set of protective features. First, it should be waterproof. Since you are hunting outdoors, you can't anticipate when the rain will pour down. Moreover, it should have anti-corrosion and abrasion design to improve its lifespan. The best rangefinder for bow hunting can withstand the extreme conditions. Therefore, you should pick a unit that you can rely on whenever environment you are. You should choose a rangefinder that has a user-friendly construction. You should avoid those models that have requires a lot of tweaking. They will just delay your hunt. Moreover, they are quite annoying to use. Part of the considerations that you have to take is the physical design of the rangefinder. It should be comfortable to hold. It should also give you a comfortable feel. As much as possible, always prefer those brands that have a compact design. In this way, you can guarantee that bringing them won't bothersome. Of course, do not forget that a lightweight rangefinder is an exceptional choice. Your bow and hunting gears are heavy already. Therefore, you should not put additional weight by buying a cumbersome and bulky rangefinder. The reticle is the aiming point which you can see while you are looking for your rangefinder. They improve the accuracy of the target acquisition. In choosing reticles, make sure you prefer those that have LED illuminations. In this way, you can guarantee that your rangefinder can work in low-light conditions without any problems. Some highly advanced rangefinders possess specialized functions. One of these is their ability to measure the changes of elevation. Also, a few brands out there can measure factors that could affect a shot, such as the temperature. Currently, these features are prohibited on competitions. But for practice and leisure hunting, these innovative designs are truly useful! The brand Simmons is quite popular to the optics industry today. They are among the finest manufacturers of range finders in the industry today. Among all of their products, the Simmons 801405 Rangefinder is probably their best opus. 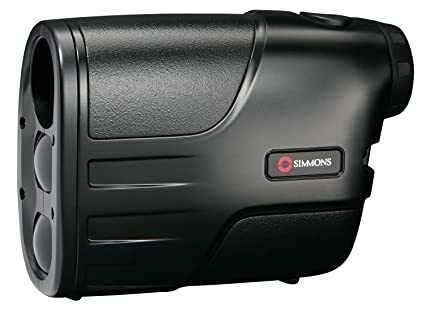 One of the greatest aspects of the Simmons 801405 Rangefinder is its reasonable price. However, the features of this product are indeed cutting edge. In fact, it is comparable to other same specs but expensive brands. This rangefinder has a clear LCD display that lets you assess your target. Specifically, the distance ranges from 10 to 600 yards. This optical lens used in this rangefinder is made from high-quality materials. The integration of innovative design makes this product easy and convenient to use. It comes with the TILT technology which enhances its overall accuracy. Moreover, it got 4x magnification lets you see your target clearly at great distances. Also, this rangefinder is indeed precise. It allows you to make 1-yard increments, which is ideal for viewing small targets. This product has a weather-resistant construction, too. One of the most reliable rangefinders you can find on the market is the Nikon 8397 ACULON. It may true that this product has no high-end features. But as we said, it is reliable, and it can get the job done. The viewing range of this product is up to 550 yards. Other brands and models rangefinders have greater viewing distance than this device. However, the Nikon 8397 ACULON can guarantee a viewing accuracy all throughout. One of the best benefits of Nikon 8397 ACULON is that it is easy to use. 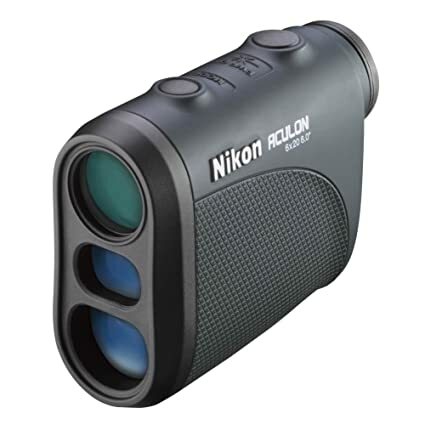 In fact, it is among the most user-friendly rangefinders out there. It has an ergonomic design that lets you get accurate readings with just a push of a button. Moreover, this product is compact and lightweight, too. Therefore, you will never get bothered carrying this around. Meanwhile, it possesses a powerful 6x magnification with is emanated from a 20mm objective lens. Also, the optics allows greater light transmittance. This feature prevents the loss of light due to natural occurrences such as reflection. Hunters and golfers will greatly benefit from the Wildgame Innovations Halo XRT. Among all the rangefinders, this one possesses the highest versatility. This is because of its multi-purpose design that lets you use it on any applications. It has an ergonomic design and user-friendly interface. You can operate it by just pressing buttons. Moreover, it exact specifications is pretty decent too. The viewing range of Halo XTR reaches up to 500 yards. Take note that at the maximum distance, the display of this device is still accurate. It has a 6x magnification and multi-layered optics for enhanced display. This rangefinder has a Scan Mode which allows you to use it while moving. Just like the brands Nikon and Simmons, the Halo XRT also has weatherproofing. Any hunters will certainly love the traction of this rangefinder. It got finger indentations which allow you to have a good grip on this device. You can use the Halo XRT for compound bows. However, it is also compatible with rifles, too! 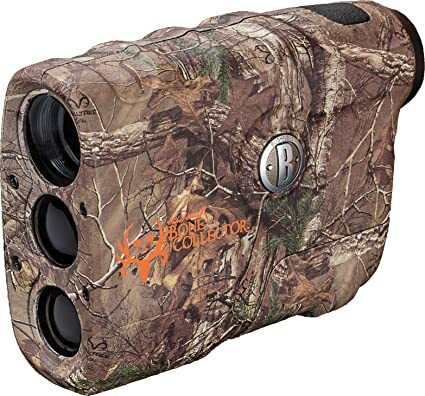 If you are looking for a rangefinder that can fit the natural environment, then you should choose the Bushnell Michael Waddell Bone Collector Edition. 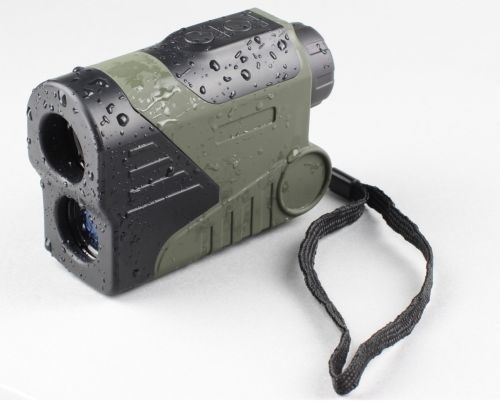 This camo type of rangefinder can work perfectly at any hunting games! This device has a viewing range of up to 600 yards. It has a +1/-1 yard accuracy, which really outshines ordinary rangefinders. The magnification of the Michael Wadell is 4x, which is lesser compared to Halo XRT and Nikon ACULO. However, this magnification power is already enough to sight your targets accurately. Moreover, this product uses a multi-layered 21mm optic lens. Therefore, it can work in low light conditions. The entire housing of the Michael Waddell Bone Collector is rainproof. We also found out that is more rigid compared to other products on this list. It can withstand extensive usage and high-impact hunting. In fact, you can confidently brush it up against the trees! 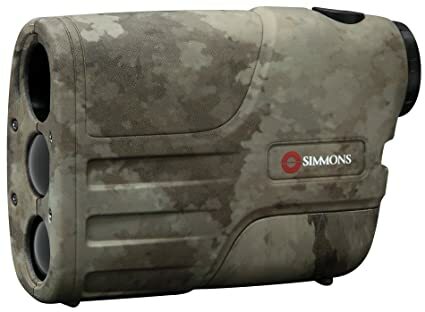 Another Simmon Rangefinder that you should try is the Simmons LRF 600. This one has a specific structure and qualities just like 4X20LRF 600. Moreover, it is also comparable to the Bushnell Bone Collector when it comes to the design. The only difference of this product among its counterparts is that it is quite pricey. However, we are all familiar with the adage "you get what you paid for." Therefore, you can trust that this device can endure the harshest hunting conditions. It is your prime choice for long hunting trips. This 600-yard rangefinder has a 4x magnification power. It is an ideal choice for quick target acquisition. Moreover, it lets you have reliable readings of objects at certain distances. Moreover, this device is emitting safe infrared pulses. 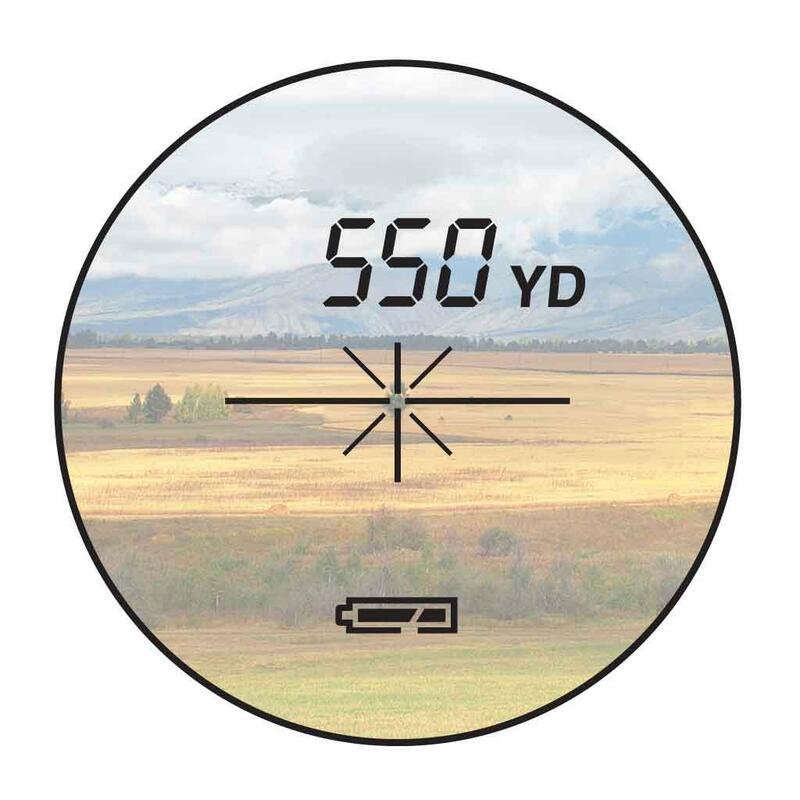 This technology improves the accuracy of this rangefinder while viewing targets at great distances. It also got a clear and comprehensive LCD screen for display of the readings. Also, the Simmons LRF 600 Camo Edition has a compact and rigid construction. The best rangefinder for bow hunting can help you improve your shooting accuracy. 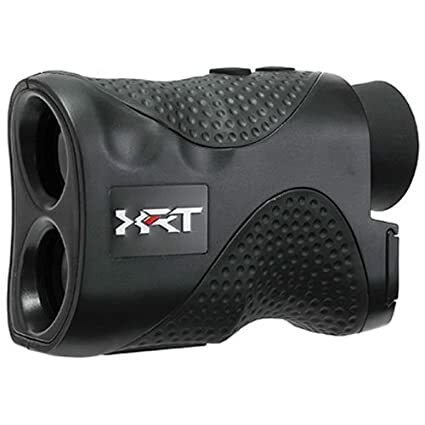 These rangefinders that we featured are among the top rated brands in the market today. You have a lot of options for this device. But for the meantime, you should try our recommended products. Out of the dozens of rangefinders we tried on actual bow hunting, these models stood out. They have great viewing distance and accuracy. They are not bulky and can adapt to a quick-paced action. Therefore, investing in them is a good move for any bow hunters. Among them, the Simmons 801405 Rangefinder has the best performance. It is an excellent multi-purpose range finder. You can bring it in any conditions without worrying about the elements. It has a full weatherproofing, which is ideal for extreme hunts. Moreover, this rangefinder is highly accurate. It may not have the farthest viewing distance, but its display is extremely clear and detailed! However, we still recommend that you should choose the rangefinder that will suit your needs. You don't want to waste your money on something that you can't use thoroughly! Lastly, you should always be keen on the price. Those expensive bow hunting rangefinders possess a lot of features. If you are just a hobbyist, you may not need those excessive components. Therefore, choosing a basic rangefinder might be the move for you and your budget as well! RELATED: What Is The Best Ground Blind For Bowhunting?